Let’s all take a moment to pause and appreciate the treasures you can find in thrift stores! 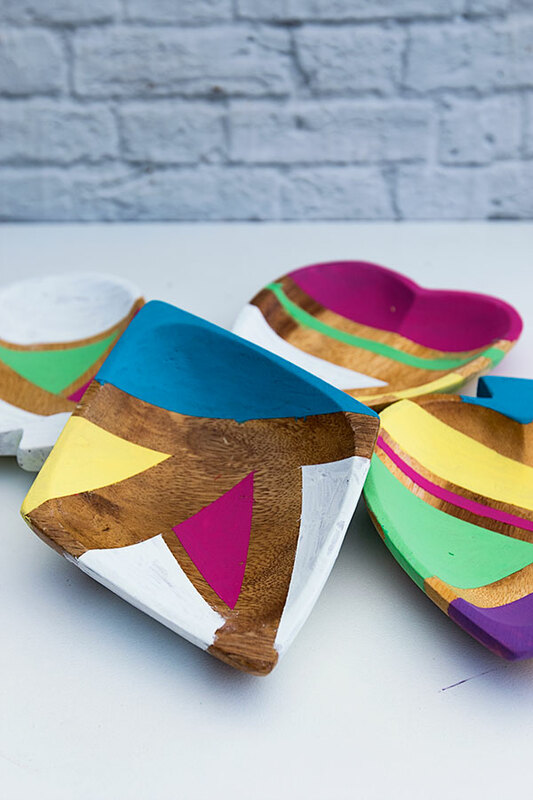 I found these wooden tray’s the other day for 50c each – bargain! 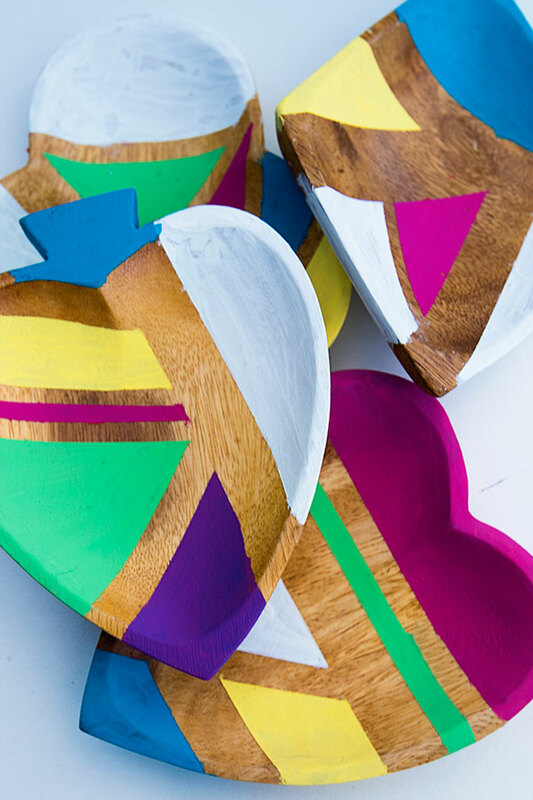 I just knew that I could make them awesome, and so the retro painted wooden jewellery tray was born. 5. 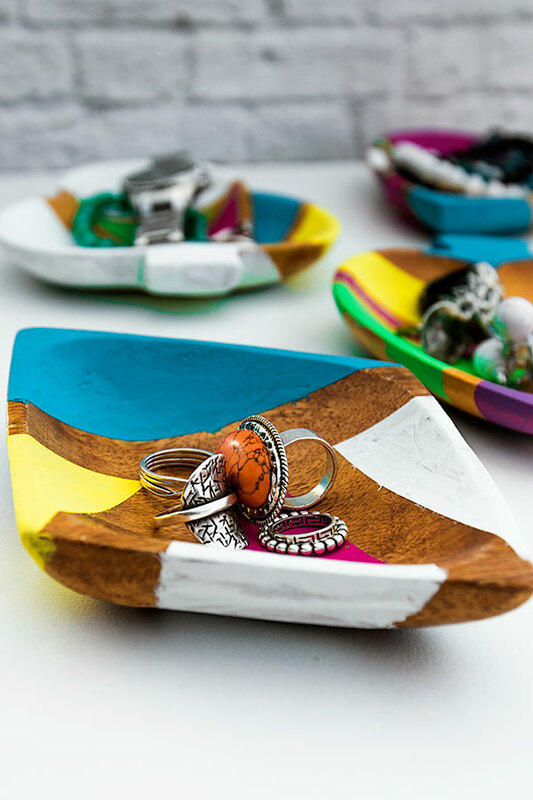 Remove the washi tape to reveal your retro wooden jewellery tray! 7. 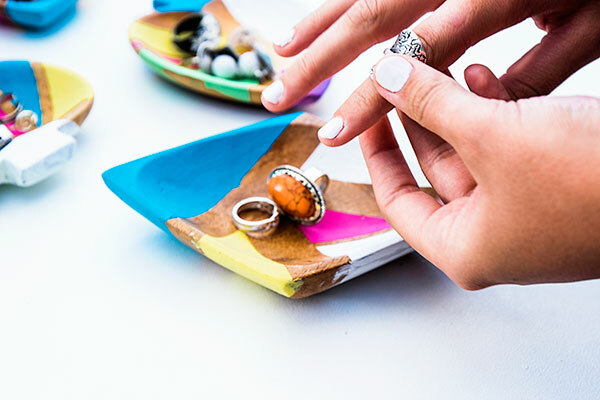 Fill trays with all your lovely jewellery!